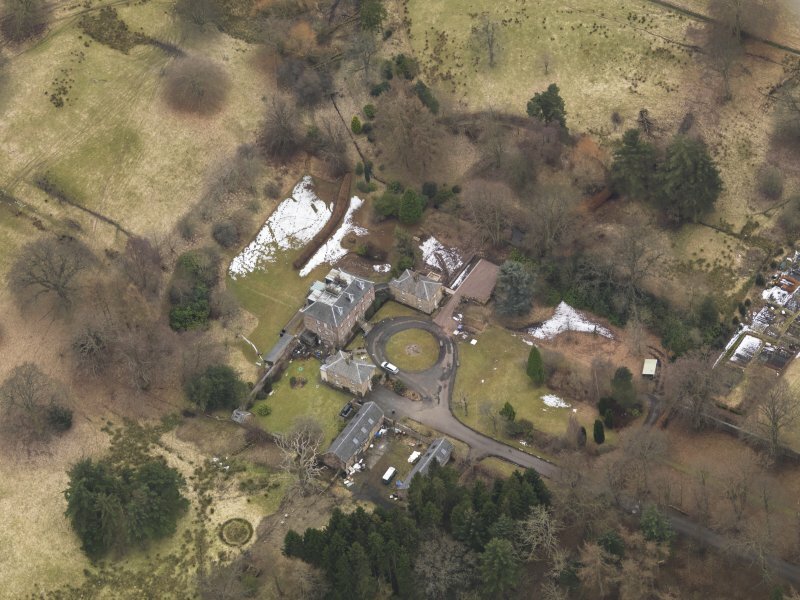 Oblique aerial view centred on the country house with the stable block, taken from the NNW. 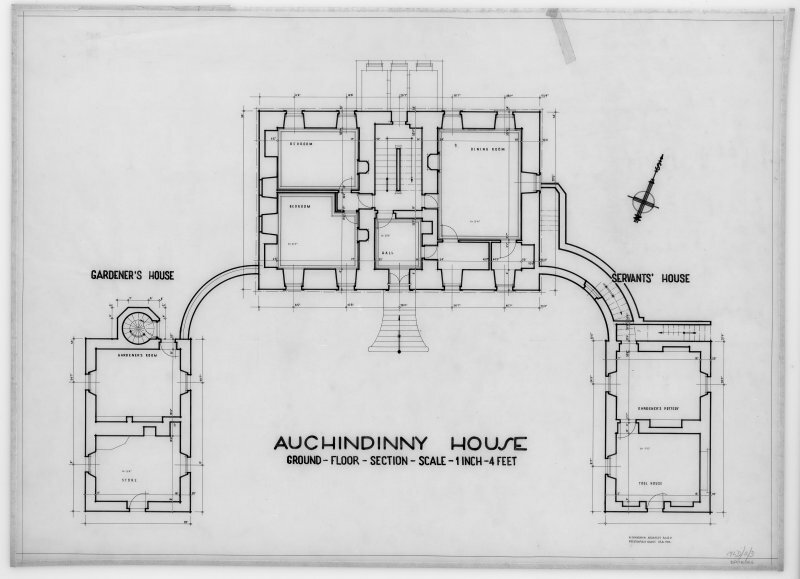 Ground floor plan, including servants and gardener's houses. 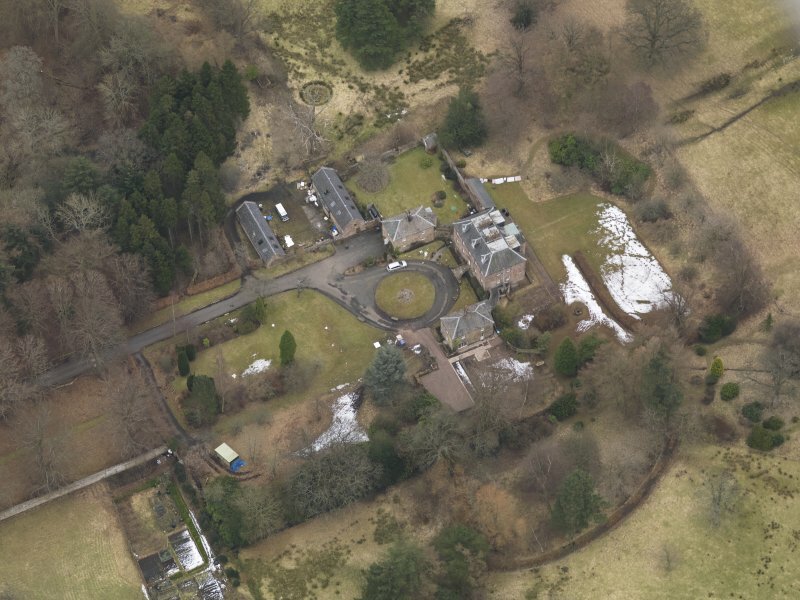 Oblique aerial view centred on the country house with the stable block, taken from the NE. 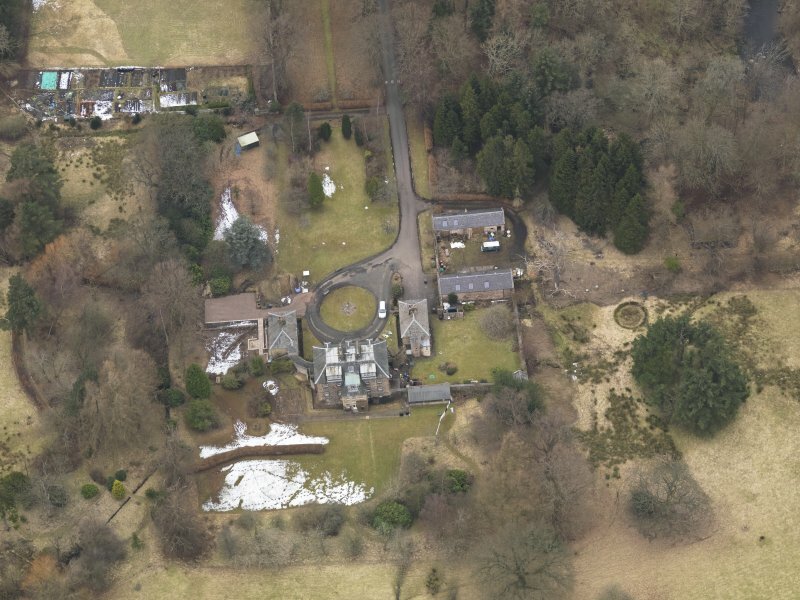 Oblique aerial view centred on the country house with the stable block, taken from the NNE. 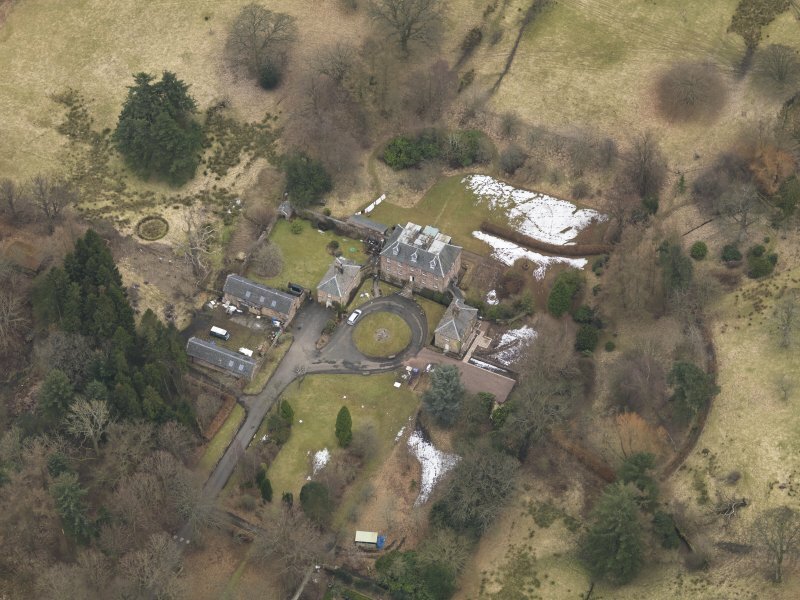 Oblique aerial view centred on the country house with the stable block, taken from the SE. 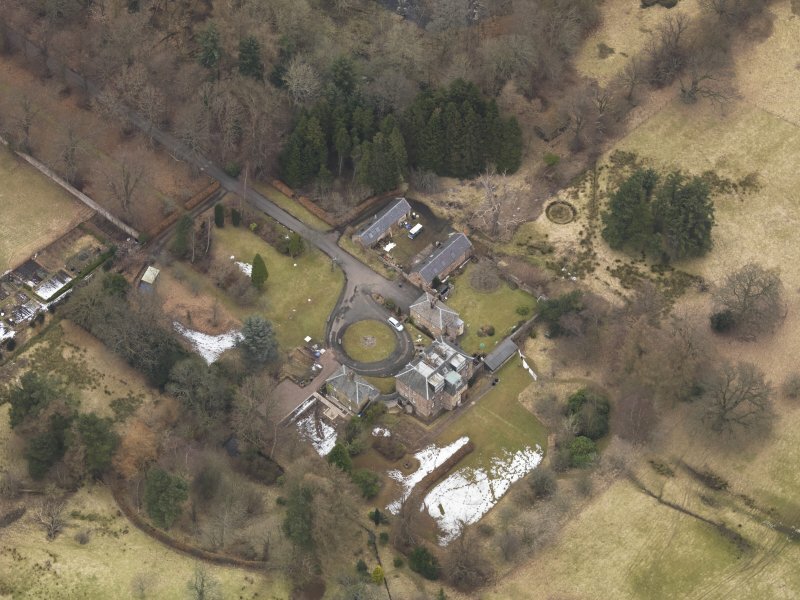 Oblique aerial view centred on the country house with the stable block, taken from the SSW. 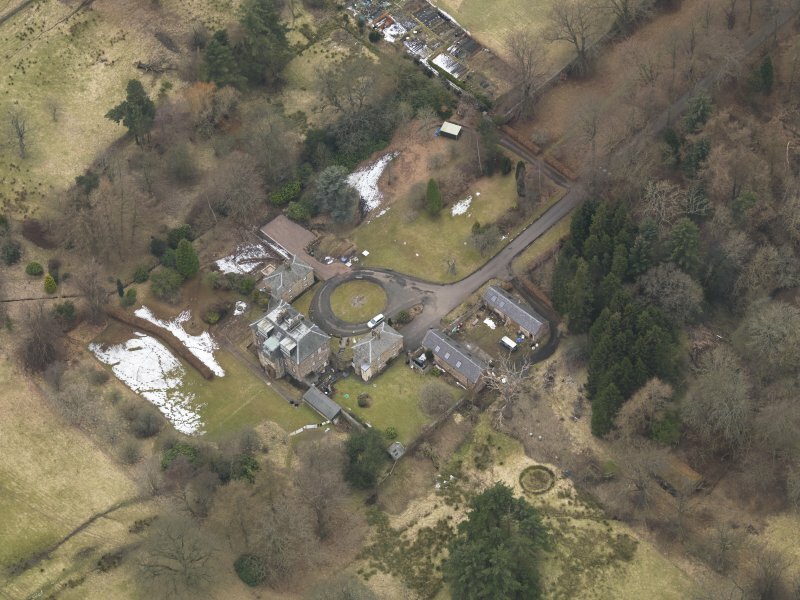 Oblique aerial view centred on the country house with the stable block, taken from the SSE. 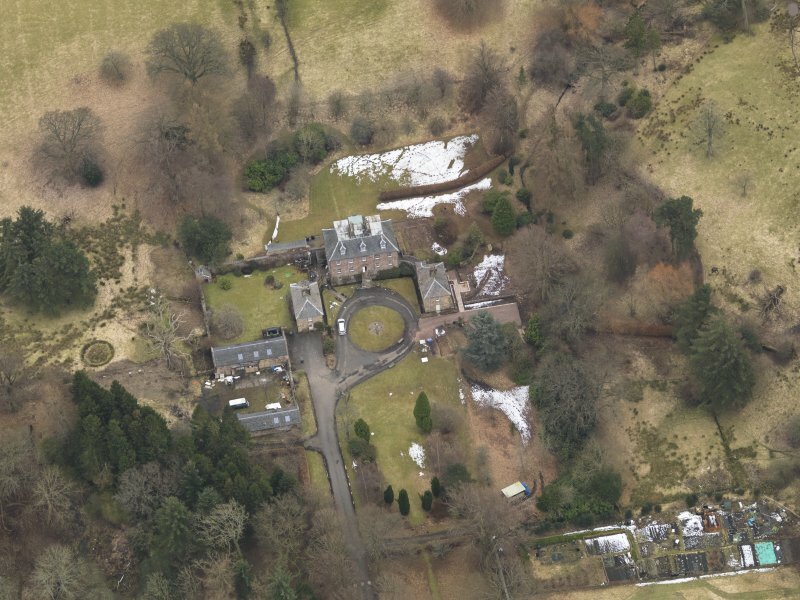 Oblique aerial view centred on the country house with the stable block, taken from the WNW. 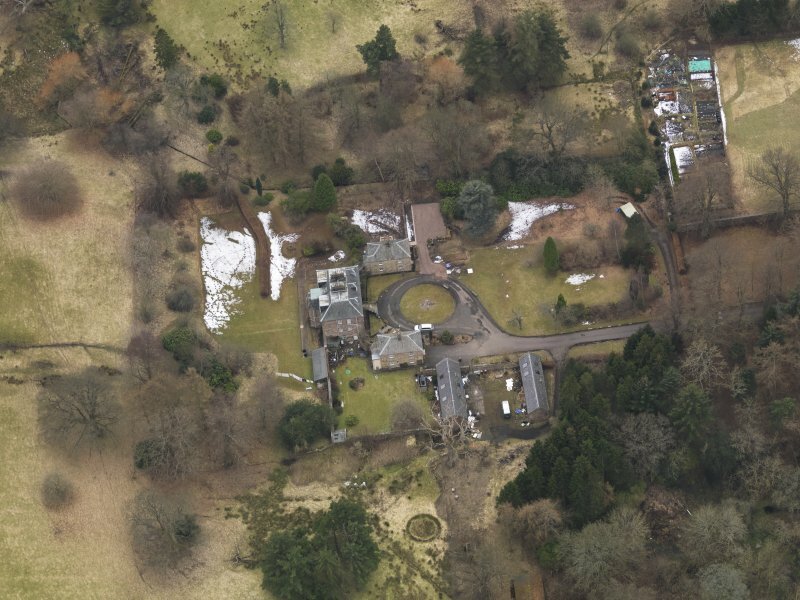 Oblique aerial view centred on the country house with the stable block, taken from the NW. 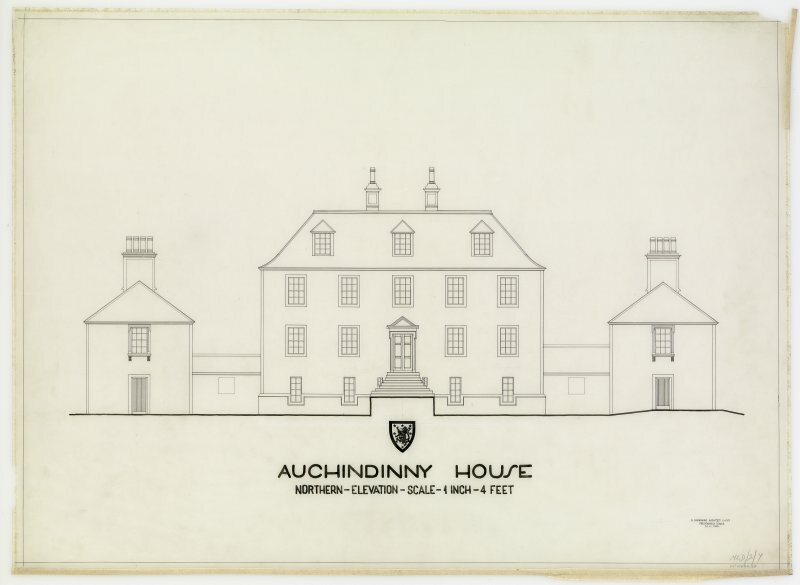 Auchendinny House is the latest and smallest example of the work of Sir William Bruce. Its layout is typical of his work and others of his day, i.e. a regular, symmetrical oblong flanked by two outlying pavilions linked to it by curved screen walls. Internally there are two vaulted chambers in the western part of the basement suggesting the representation there of an older house of 16th - 17th century date. 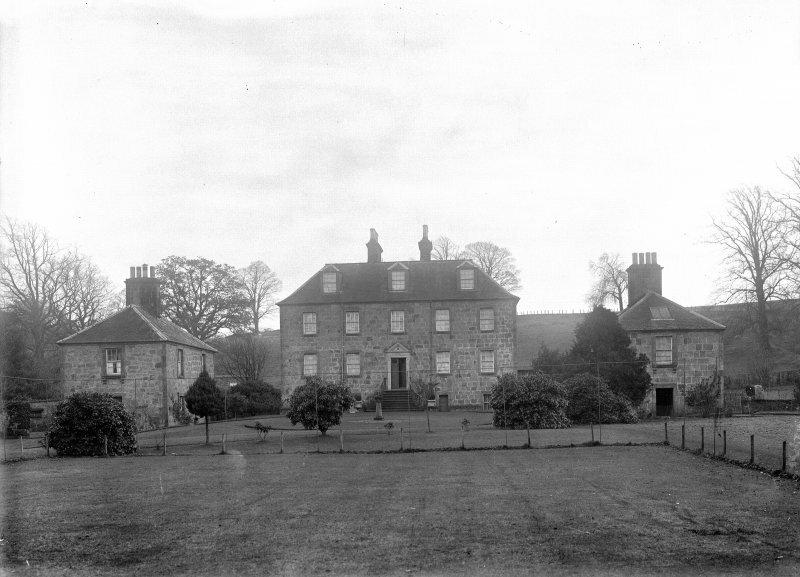 This is, however, not conclusive but from family papers the house appears to have been completed by 1707. 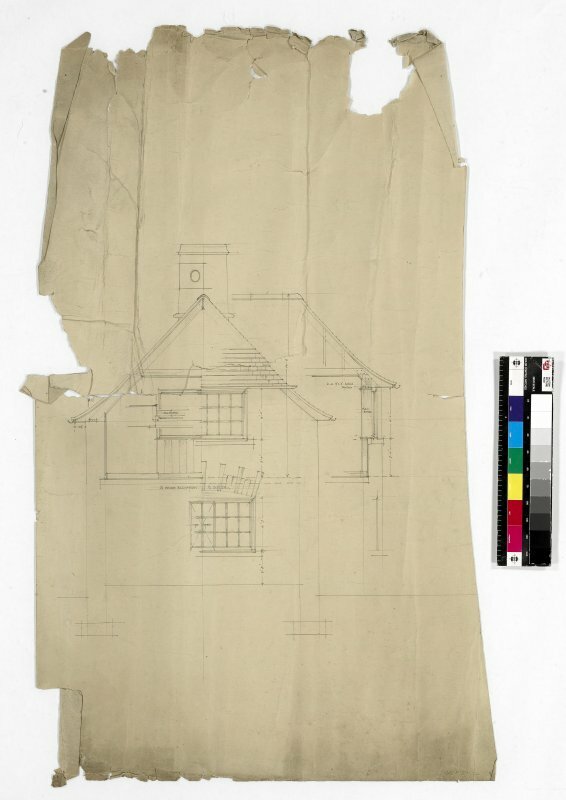 This house, occupied and in good repair, is as described. The list description for the house (built c1700), notes that there is some debate as to the dating of the pavilions. 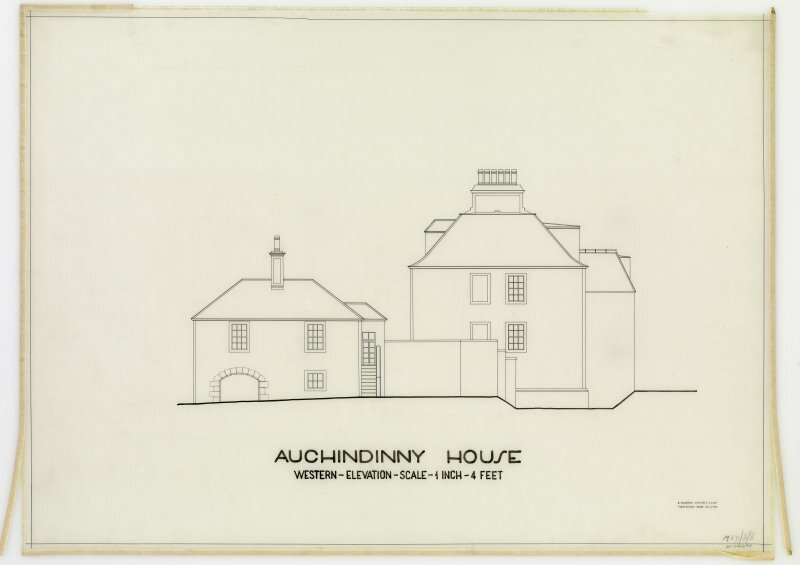 This information was identified and drawn to the attention of RCAHMS by Patricia Cook.